Apple has finally given the people what they want by taking the plunge and releasing OS X Mountain Lion onto the Mac App Store. And judging by the mounting reviews, it seems to have been greeted with extreme positivity. With that being said, we all know that you can’t please all of the people all the time, and it was always going to be the case that there would be some unhappy campers with certain aspects of the release. 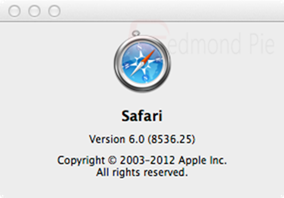 As part of Mountain Lion 10.8 and also as part of the OS X Lion update, Apple has made a few changes to their Safari web browser taking it to version 6 and in turn removed some much loved features. One of the changes to Safari 6 is the removal of the RSS feed detection button which detected whether or not a website had an RSS feed and displayed that feed to the user. In earlier versions of Safari, the RSS button lived on the browser toolbar for easy user access, but in Apple’s eternal wisdom, they have decided to remove it for the latest version of the software. For those who closely follow the happenings of the iOS and Mac OS X development community, you may remember some rather puzzling talk from developer Daniel Jalkut that came at a time when developers couldn’t really talk publicly about what was included in Mountain Lion due to the NDA. It has now come to light that the chatter was centered around the removal of the RSS button in Safari, with the developer actually creating his own Safari extension that replicates the now removed option. Those who want this feed recognition back in Safari without having to revert to an earlier version, follow the simple steps below to integrate the option from Daniel and Red Sweater Software. Beware that this is only required if running Safari version 6. Step 1: Open up Safari, click on the Safari menu button and then select About Safari. If the version number is returned as Safari 6 as shown in the screenshot below then proceed to step 2. Step 2: Download the Subscribe To Feed Safari extension by Daniel Jalkut by clicking this link. Step 3: Locate the downloaded Safari extension, open it and when prompted; select Install. Step 4: When the extension has been installed, a new RSS button will be present on the left hand side of the search field. If no RSS or Atom feed is detected on the website then the button will be greyed out. If the visited site has a RSS or Atom feed then the feed:// link will be opened up in the default feed reader app on your Mac. This particular feed detection extension for Safari 6 has obviously been in development for a while, but couldn’t be disclosed or released until now. The developer behind the extension is offering the plugin as a non-supported piece of work, meaning that it is, and more than likely always will be, stood in a beta-quality state, so bear that in mind if any issues occur during usage. This extension also requires an actual RSS or Atom feed reader application to be installed on your Mac.